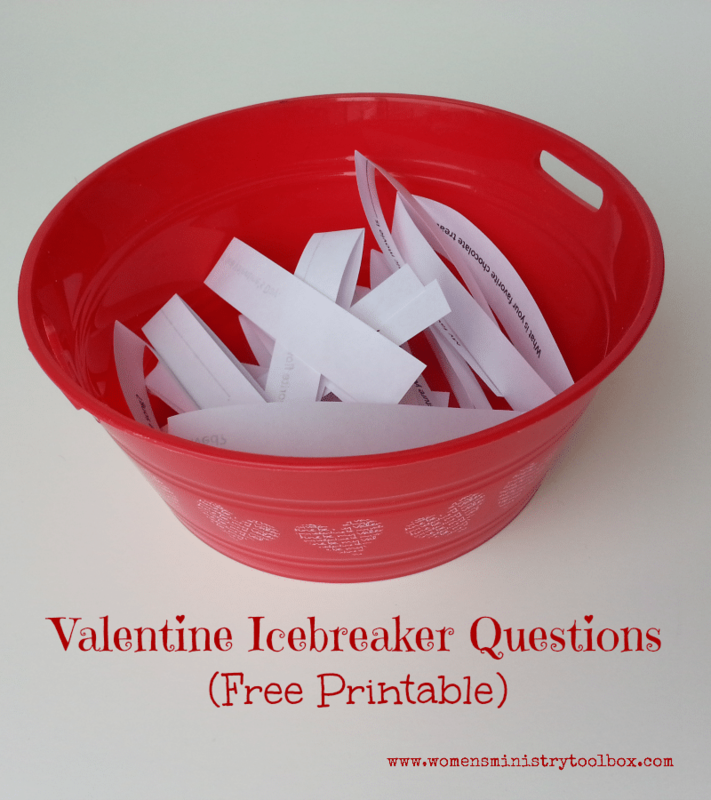 Looking for a quick Valentine icebreaker for your Women’s Ministry, small group, or Bible study? 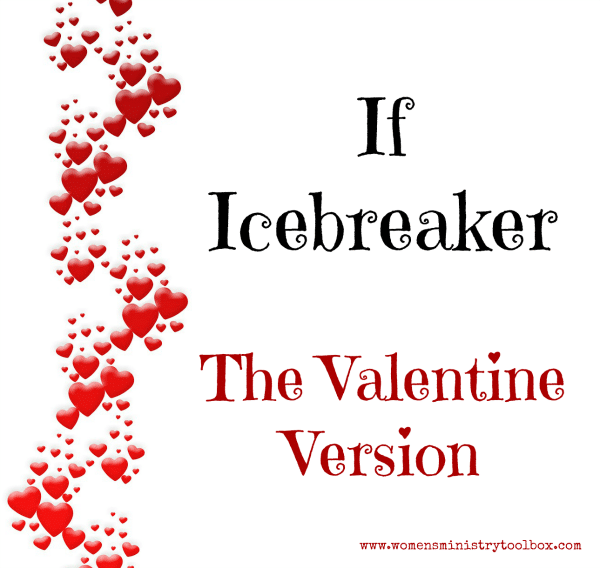 Print off the If Icebreaker: Valentine Version and you’ll be ready to go! Have you ever made a “heart to heart” connection? You know, when you meet someone and you instantly bond over usually trivial things. 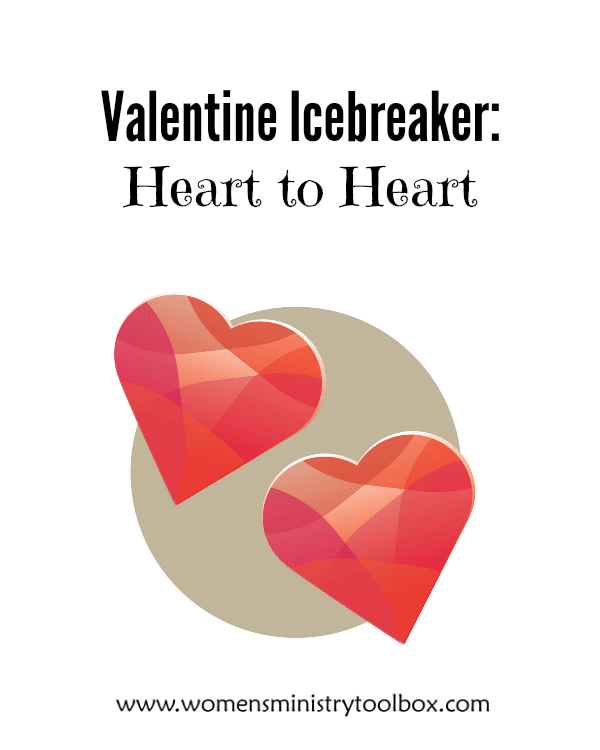 This Valentine Icebreaker, Heart to Heart, helps to make those connections between the people in your group. I love a good set of icebreaker questions! In need of a quick Valentine’s Day icebreaker? 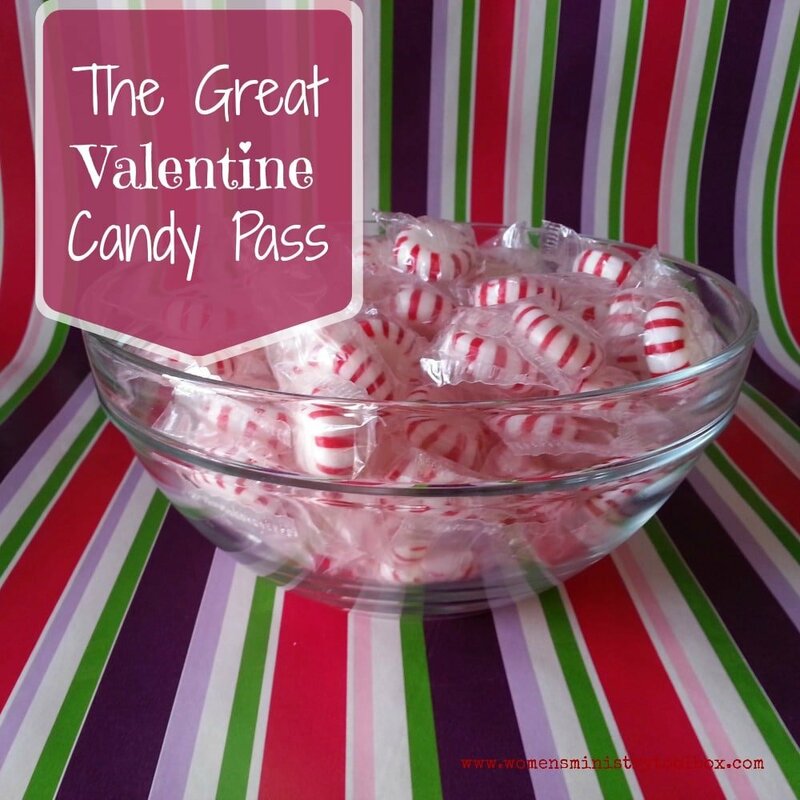 The Great Valentine Candy Pass is a quick and easy icebreaker. It’s perfect for a smaller group, but easily adaptable to large groups.